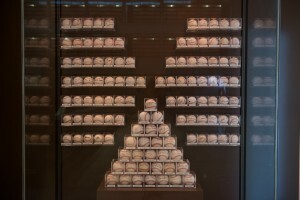 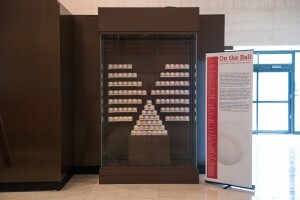 On the Ball is an exhibit of 116 baseballs, from the collection of Randy Kaplan that have been signed by various heads of state, including two Kings, an Emir, a Prince, thirteen female heads of state, as well as Prime Ministers and Presidents from around the globe. 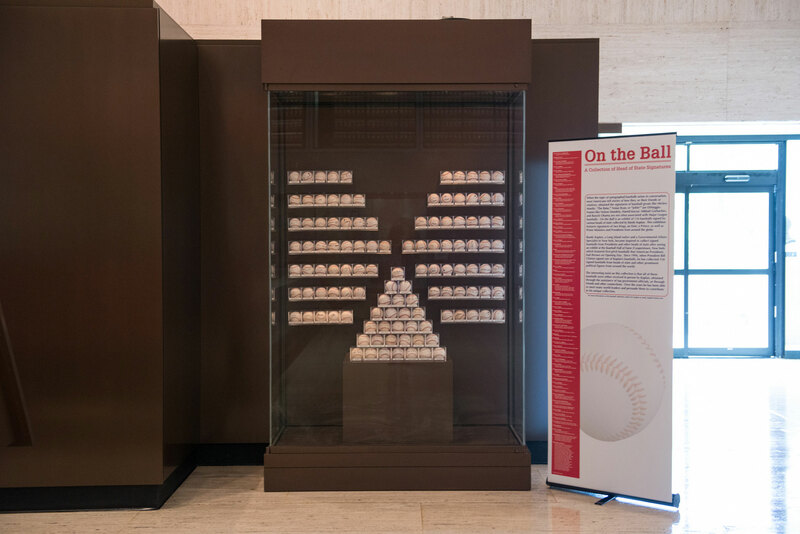 Kaplan’s extraordinary baseball collection contains 1,000 baseballs autographed by 150 heads of state and high ranking political leaders from various countries. 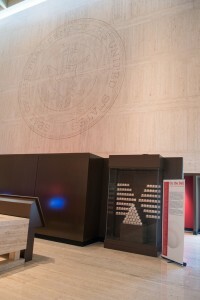 The exhibit will be on display through December 14, 2014.